In this Smartcat update, we have added features to make life easier for app and game localizers. Other additions include OCR correction and auto-localization of number formats. When localizing the interface of a site or mobile app, it's important that the translation not be too long: otherwise the text may simply not fit on screen. The maximum allowable change (%) in segment length can now be specified in the project QA settings. If the length of the translation differs from the length of the original by more than the specified percentage, Smartcat warns of the error. HotFolder is a special folder on your computer containing files that are automatically synchronized with your Smartcat projects. Users can set up a seamless workflow so that any changes made to these files are automatically uploaded to Smartcat for translation and, when translation is completed, synced back to the folder. This is very useful for app and game developers, for example. Simply connect the HotFolder to an existing version control system: instead of forcing developers to wrangle strings, localization is closely integrated with the development process, which saves enormous amounts of time. Now translators can view reference screenshots directly in the Editor. For example, when localizing an app string, a translator can cross-reference an interface screenshot to make sure that the translation will be context-appropriate. Especially when working with scanned versions of poor-quality PDFs or other documents, issues can occur with text recognition and formatting. That's why it is important to check for errors, and correct them if necessary, at the start of the translation process. Now OCR texts can be checked for errors when the source document is uploaded, before translation starts. To check for errors, select the Check and correct source layout checkbox when adding a file to a project. The length of words and sentences in a translated version may be different than in the original, causing layout issues. If you select the Check and correct translation layout checkbox when uploading a document, the layout of the finished translation can be verified before the file is downloaded and delivered to the client. Post-translation layout check is useful even when working with DOC files. You've probably encountered files that contain lots of numbers – perhaps steel performance characteristics, pricing information, or a financial statement. Translators have to spend time manually correcting the number format for the target language: for example, while English uses $35.50 and £1,099.00, in German one would write 35,50 and 1.099,00. So when configuring pre-translation for your next project, add a Source (Numbers Only) rule. All segments that consist only of numbers will be copied from the source to the translation, with the decimal and thousand separators properly formatted for the target language. 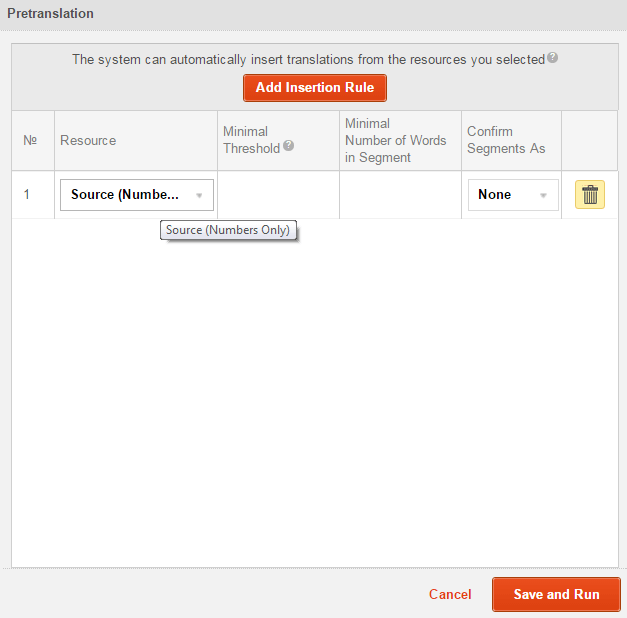 What's more, if you enable auto-confirm when configuring pre-translation, you never even need to confirm number-only segments. Has a Smartcat function brought a smile to your face? Which features would you still like to see? Comment below or write to us at blog@smartcat.pro. Smartcat-related suggestions are always welcome at support@smartcat.pro.